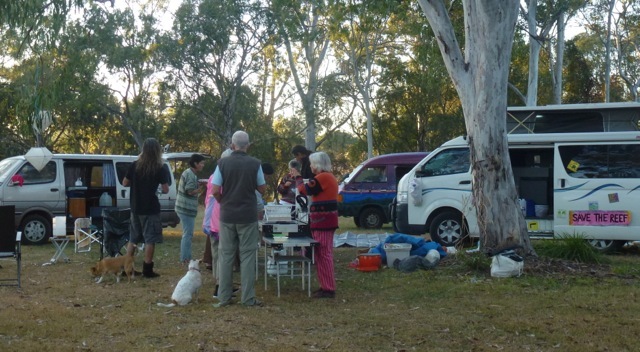 On the night before the walk into Gladstone, a large and colourful camp of vans and tents is developing at the Kin Kora caravan park. 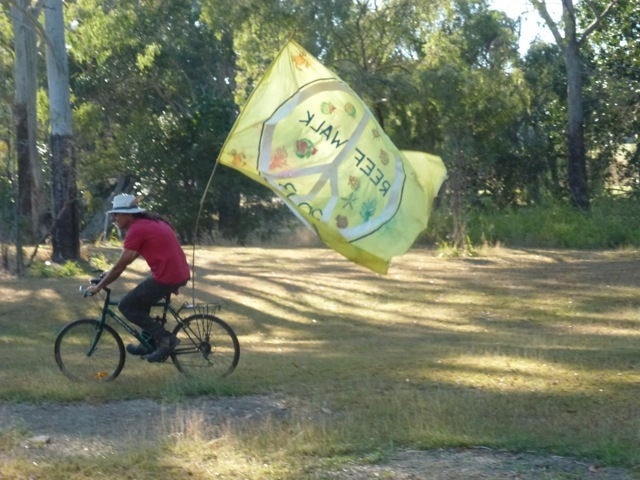 The supporters from Nimbin have brought Bennie Zabel’s beautiful flags. The local supporters bring food. The evening is spent singing and talking. At sunrise, breakfast is organised. Everyone is getting ready for the final day. Nick spends some extra energy taking the flag for a bike ride.